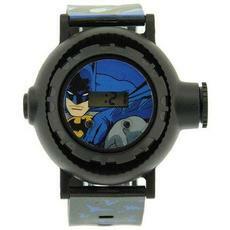 Batman Projection Watches, which children can use to project 10 different images onto walls and other surfaces, are extremely popular with small children, many of whom wear them for extended periods, including while they are sleeping. But, parents need to be warned that these watches have caused serious chemical burns to some children due to a caustic substance that can leak from the backs of the watches. Burns resulting in severe pain and extensive skin damage have been reported even after the watches have been worn for only a few days. The substance causing the injuries has been described as a brown, syrup-like substance that resembles chocolate. The watches are manufactured in China, distributed by Accutime Watch Corporation of New York, NY, and sold around the country by Wal-Mart, Toys-R-Us, and other retail and online stores. Dangerous and defective toy products like these have the potential to cause serious injuries to children. Child-injury and toy-recall attorney Jeffrey Killino has extensive experience with child-injury cases, including those arising out of injuries and deaths caused by defective toys and other products. If your child has been injured or killed by a defective product of any kind, contact attorney Killino for more information about your legal rights and options. Under general products-liability law, companies and individuals involved in a defective product’s production and distribution may be held strictly liable for injuries determined to have been caused by the product’s defect. These defendants—who may include product designers, manufacturers, suppliers, assemblers, wholesalers, and retailers—may be held liable for such injuries when products are found to be unreasonably dangerous for consumers’ use due to defects in their design, manufacture, or warnings. Strict-liability claims allow plaintiffs to establish defendants’ liability for harm caused by defective products without having to prove that any of the defendants was negligent in creating a defective product or in releasing it to the marketplace. Such defendants may also be held strictly liable for such harm even if the products were manufactured in compliance with current industry standards and regardless of whether the product was recalled before the injury occurred, as long as the product was being used as intended or as reasonably expected when the injury occurred. The Batman Projection Watches discussed above may be found to contain defects in their design or manufacture that cause them to leak a caustic substance that can burn or otherwise injure consumers’ skin. Products may also be found defective if sold without warnings of dangers that ordinary consumers would not be aware of. Child Injury Firm toy-recall lawyer Jeffrey Killino is known around the country for his dedication to helping the families of children who have been injured or killed by defective toys and other products. If your child has been injured or killed in this manner, our nationally respected team of child-injury attorneys can help you fight for the justice you and your child deserve.